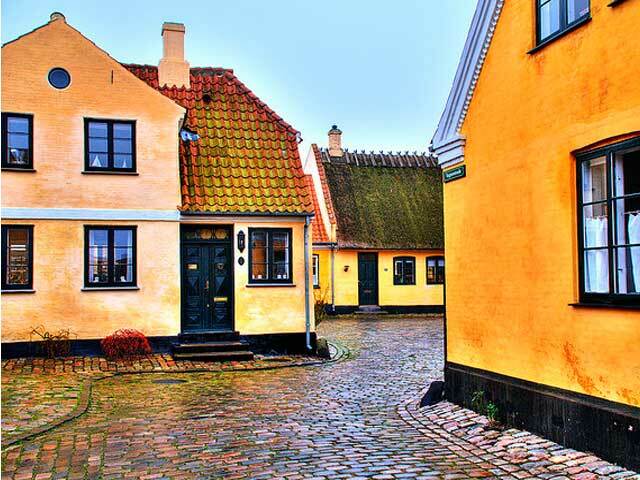 Join us on a tour in the picturesque Fishing Village Dragør- just half an hour from Copenhagen. The city is on the top 10 of the most beautiful towns in Denmark! Feel the fresh, cool breeze of sea air coming in from the South, absorb the tranquility in the charming narrow streets among the distinctive yellow fishermen’s houses. In order to be a true local in Dragør, it is said that you need to be able to trace your ancestors back at least three generations! The first people in the city were Dutch – brought to Denmark by the king to grow vegetables for his mistress. Get a good view of the bridge connecting Denmark to Sweden and listen to the riveting stories of the fishermen in Dragør and how they helped saving the Danish jews during the WWII. Watch our movie to get a glimpse of the this idyllic village….. This tour is very suitable to do in combination with the Hamlet or Copenhagen highlights tour. We can also arrange the tour for a larger group.